Want to post a video on YouTube about your new marijuana store? Or maybe run a special offer on Twitter? Interested in placing ads on any media that target the out-of-state tourist market? Under Colorado’s retail marijuana rules released earlier this month, all of these types of advertising would be against the law. These restrictions are noteworthy on a national scale because other states may very well copy them someday. And they may affect policies for national consumer cannabis media. Based on the limitations, retail establishments catering to recreational (adult) consumers could be limited in how large and how quickly they grow. So, what’s left for a budding cannabusiness entrepreneur wishing to highlight their retail establishment to the consumer market? Entrepreneurs will do well to start building their own targeted customer email lists as part of their marketing plans. Emailed offers to a proprietary email list may be fine, as long as a demonstrable barrier has been placed in front of any online sign-up form requiring that all opt-ins be over 21. 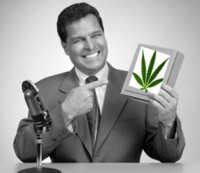 Look to cannabis-specific sites such as WeedMaps and Leafly. These organizations are poised to be the big winners from these rules – provided they re-implement their “21 and over” barrier buttons. Advertising on those sites would be permitted under that scenario. Purchasing sponsored links on sites such as HighTimes, which are not over 21-protected, may still be an option. If pursuing this scenario, entrepreneurs should consult legal advice as to whether an “over 21 only” button is needed in front of their own site or landing page. Although Google and Facebook ads would probably be allowed because they can be targeted by age and geographic location, Facebook itself has been turning down marijuana-related ads even for ancillary businesses, such as ones for the National Marijuana Business Conference & Expo. Also, branded t-shirts, hats and other apparel are not mentioned in the rules and thus are currently allowable. However, chances are they could be nixed in future because they are banned under federal tobacco advertising laws, which Colorado legislators may review. Some commentators have wondered if these rules could be struck down with a court challenge based on the Colorado constitution’s famously strong free speech clause. But, if that occurs, it will be far in the future. In the meantime, Colorado retailers need to place ads very carefully. It’s unfortunate that marijuana is still unfairly stigmatized so horribly. Hopefully this starts to change soon as more starts begin legalizing it. Hang in there Colorado! The stupid nazi pigs allow beer and coffee commercials don’t they? Geez, so much for capitalism, huh? I actually read a cool blog yesterday that gave me an idea. Aside from starting a brick and mortar operating, wouldn’t opening an LLC outside of the state be an option for these guys? That’s weird because I live in San Diego (CA) and the Delivery Service that I use (Siren’s Treasure) advertises on Facebook quite often. But maybe they are creative with how they post their ads I never really paid attention. Anyway hopefully restrictions become more relaxed because I’ve had nothing but great experiences with delivery services here in San Diego. The best option for companies is to use either search engine or social media marketing. Both enable a company to strictly advertise to those who fall within what is mandated by the state. I recommend checking out at-social.com or email [email protected] social media and search engine video marketing starting at $75 a month. I always wonder why they allow cigarette and alcohol commercials and prohibit marijuana commercials when there are more than 300000 people who die from smoking every year and 0 who die from marijuana!